A vinyl sundeck is a great investment in your home and protects the structure from water damage. It’s important to realize, however, that not all vinyl sundeck materials are the same. Tuff Industries illustrates the difference between different vinyl sundeck products to help you make the best decision for your home. There are quite a few reasons to consider a vinyl membrane for your sundeck. Practical and affordable, vinyl sundeck products are also durable – they can stand up to heavy traffic, pets, and kids without scuffing or scratching. 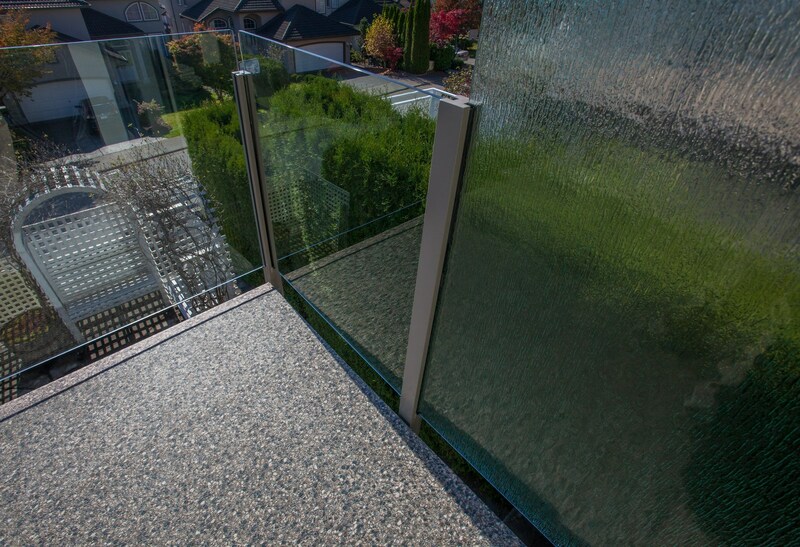 They also do an amazing job of waterproofing the deck, moving water away from the building envelope to protect your home and the deck structure from water damage, rot, and mould without requiring hours of maintenance each year. Like most home improvement products, there are a wide range of vinyl sundeck coverings available – and they will not all be equally durable or able to waterproof your deck. The first major property to look at in vinyl decking is the thickness of the vinyl. Obviously, a thicker vinyl is (for the most part) going to be more durable. Building codes vary by province and state, but a typical standard thickness for vinyl membrane is 60mm. Any vinyl thinner than the standard in your area may not last, or may not protect your deck and structure. However, it’s also important to consider not just the top layer of the product, but also the back. The types of backing you can choose from include vinyl, fabric, or fuzzy. Why is this important? The reason is simple – you want a waterproof vinyl deck, and one area that is at risk of letting in moisture is where a seam (two pieces of vinyl decking) joins. Vinyl sundeck products are joined at a seam by heat welding the two sides together. The issue arises when the top of one vinyl membrane is joined with the bottom of another membrane with a fabric or fuzzy-backed – the weld doesn’t hold. Even if a vinyl sundeck with a fuzzy or fabric backing seems correctly welded, over time the seam can loosen and may require repair or replacement. Undetected, water entering under the seam can damage the deck and could cause major problems if the moisture reaches your home. You’re much better off investing in a vinyl decking product that is vinyl through and through. Choosing vinyl-backed decking allows for a waterproof, durable, and permanent seal along the seam. Imagine taking two plastic items, heating them up, and melting them together – how do they come apart? Vinyl decking with a vinyl back creates a waterproof deck product for your sundeck that is sealed against the elements. What you get with a vinyl-backed decking product like Tufdek™ is a multi-ply vinyl membrane that is fully waterproof and durable. Don’t settle for poor imitations of vinyl decking for your vinyl sundeck project – check with an installation professional to ensure you are getting the best product for your home.